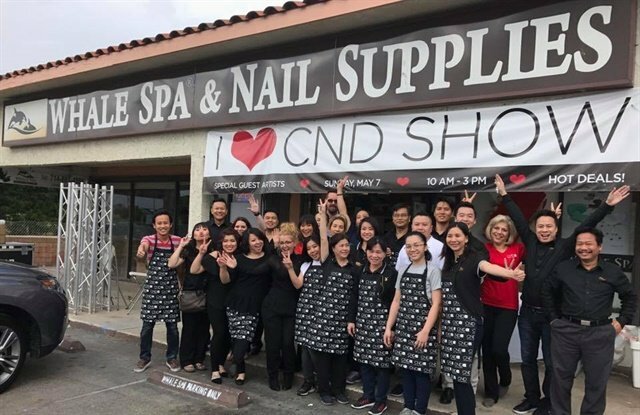 On Saturday, May 6th, CND hosted another successful "I Heart CND" event, this time joining forces with Whale Spa at Whale Spa’s showroom and beauty supply store in Garden Grove, Calif.
"I Heart CND" began in 2014 when CND partnered with one of the company’s loyal Vietnamese-American distributors in San Gabriel, Calif. 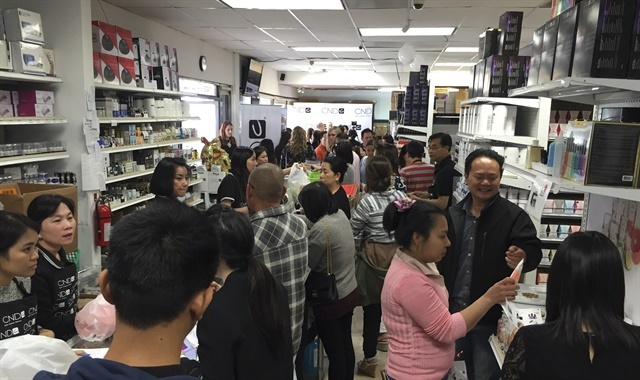 Since then, the event has been held at other Vietnamese-American-owned supply stores in major cities across the country. 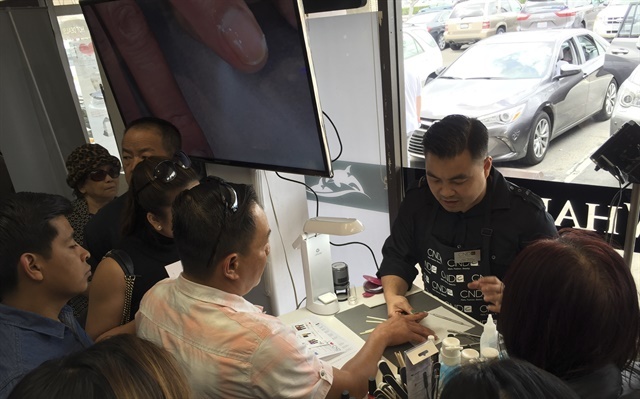 CND’s newest education ambassadors showed visitors simple, trendy nail art at each demo station using some of CND’s range of products, including CND Shellac, Brisa Gel, CND Additives, Vinylux, Creative Play nail lacquer, CND Spa, and Retention+ Liquid & Powder. Attendees also had the opportunity to meet CND co-founder & style director Jan Arnold and CND brand ambassador Kieu-Chinh. Here's a video tutorial of creating a rose using a watercolor effect, created by CND education ambassador Beatrice Van, during the event. Here's another tutorial from HongAnh Cunningham who shows how to create a palm leaf nail art design using CND Shellac.